The popular saying goes “Gold is where you find it”. First discovered as shining, yellow nuggets, gold has since become a part of nearly every human culture. Throughout the centuries, gold captivated the society due to its brilliance, luster, natural beauty, malleability, and resistance to tarnish. Throughout the 1800s, the United States currency was mostly based on the gold standard; little amounts of silver were traded. In 1900, an actual gold standard of currency came into existence after a law called the Gold Standard Act was passed. However, President Franklin D. Roosevelt brought this system to a halt in 1933, after prohibiting private ownership of gold, unless when coated in jewelry. Although many people don’t realize it, gold is an effective currency under the current free market system. In the 19th and 20th centuries, its popularity slipped due to instabilities triggered by standards implemented by the then governments. The price of gold if often related to the USD, because it is typically priced in US dollars. Gold prices and the USD have an inverse correlation. This is why many view gold’s price as simply an exchange rate, just as you can exchange a USD for a Euro. Other paper currencies can also be traded for Gold. Although not usually used, gold is a valuable currency under the current free market. It’s price fluctuates relative to other forms of currency. It is easy to buy and store gold in a physical form. This precious metal is highly liquid and can easily be converted into cash in almost all currencies when necessary. There are times when the USD or other currencies move higher, and times when it’s value reduces. Similarly, the value of gold exhibits these tendencies, but tends to be more stable than fiat currencies. Currently, gold can be traded in several ways; you can buy physical gold, gold ETFs, future contracts, or participate in price movements even if you don’t own an underlying asset by purchase of a Contract For Difference (CFD). 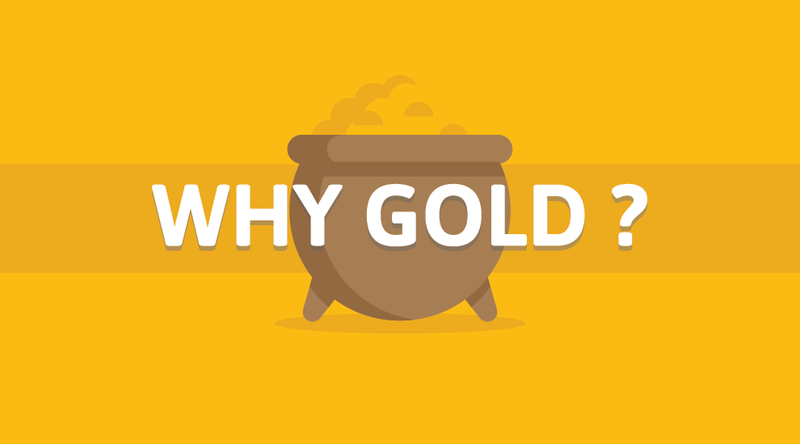 People often say “Gold is real money,” but what do they mean? Is there an underlying difference between the fiat stuffed into your wallet and gold? Since ancient times, many things have served monetary purposes, including; salt, cattle, and seashells. Time has proven some forms of money to work better than others. Silver and gold have shown an outstanding performance and are widely regarded as the best form of money ever to grace the face of the Earth. Evidently, gold has several advantages over fiat currency. As the former chairman of the Federal Reserve of the United States, Alan Greenspan, one time rightly put it “Gold Is Currency; No Fiat Currency, Including the Dollar, Can Match It.” The demand for gold has always remained high. There is extensive documentation on it’s use as money. The wealthy have used it to store wealth due to it’s incredible safety and effectiveness in storing value. During a crisis, gold has proved the most resilient form of currency, placing it as the safest holding when fiat currencies plunge, as they historically do time and time again. This property makes gold an excellent way to diversify your portfolio. Owing to its rarity, gold’s value does not move in line with property, equity, or other assets. Almost all countries in the world recognize it as real money. Gold offers safety and stability, unlike fiat paper money which is perishable and has a history of downfall. Fiat currency can also be scarce, but it’s scarcity is artificially created, more can always be printed. For hundreds of years, gold and silver have maintained their value to society. These precious metals are consistent, durable, divisible, convenient, and are intrinsically valuable. Other than it’s role as money, gold & silver have other useful purposes (silver in particular is heavily used in the production of many different products). Doug Casey, an investment expert, once said “The dollar is, technically, a currency. A currency is a government substitute for money. But gold is money”. This could be one reason why some economists argue that backing the dollar or euro by gold could be a solution to the financial crisis caused by printing money. There are several instances where the value stored in a bank has devalued or even been wiped-out. Fiat can be produced in as much quantities as governments desire, making it entirely elastic and flexible, unlike gold which cannot be stretched by simply printing more of it. Each passing day, the death of certain fiats grows closer as central banks continue to prop up the financial systems through heavy printing. History explicitly shows that the average life expectancy for a fiat currency is 27 years. Of all the 3,400 fiat currencies that have been in existence, none has stood the test of time. Although the British pound at a ripe age of 317 years has been considered the most successful currency, it has lost 99.5% of its original value. Over 2,600 years, gold has enjoyed a financial status of more than a hundred times that of the fiat currency. Due to this undeniable record, the survival rate of all fiat currencies ultimately drops to zero. As at 5/19/2017, gold was trading at a critical level where a up or down movement was imminent. According to this chart obtained from PMBull.com, the gold price stood at $1255.55. From the graph, the gold price has failed multiple times at the red line (critical obstacle), and so a significant drop could occur. An enormous amount of energy is required to fuel its price to break through the resistance line, which can only result from the collapse of a large market like the bond or stocks market, or the further devaluation of the USD. The DinarCoin is a Crypto asset created by DinarDirham and built on the Ethereum blockchain. It is based on the global gold spot price. Dinar Coins can be converted into gold, or redeemed for physical gold. Each token is pegged to real physical gold, hence greatly reducing the risk of inflation. The DinarCoin follows the real-time gold price, making it a unique and innovative way to store, trade, and use gold throughout the globe. 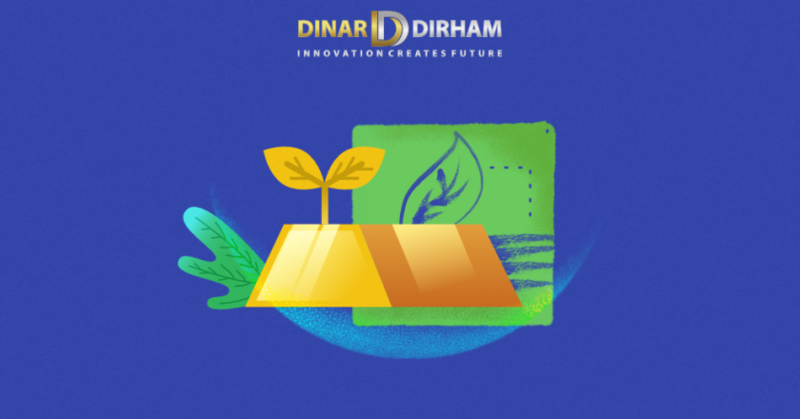 Through blockchain technology, DinarDirham ensures a simple and secure gold investment where users can verify all transactions transparently without an intermediary or third party. An investment in DinarCoins gives you the stability, liquidity, and value of gold, with the flexibility, speed, and convenience of cryptocurrencies. 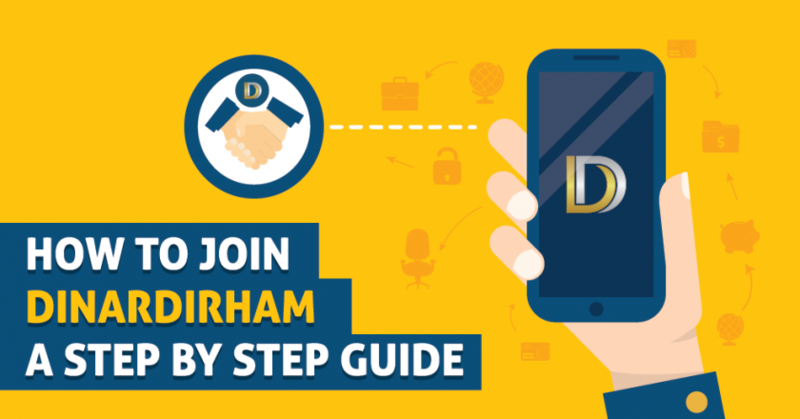 Here’s how easy it is to get started; you can procure a DinarCoin from a holder in the open market or obtain a newly minted DNC from liquidity providers. Each DinarCoin is worth 4.25 grams of 999.9% pure gold. Go for gold today and be part of this success story! Visit our main page & discover how to get involved in this amazing new digital asset. # benefits of golddevaluation of fiat currenciesdigital assetsdigital golddinarcoindinardirhamfiat currencyfiat moneygoldgold cryptocurrencygold digital assetgold moneygold vs fiathistory of fiat currenciesinvesting 2017is gold a good investment?real moneywhy gold?